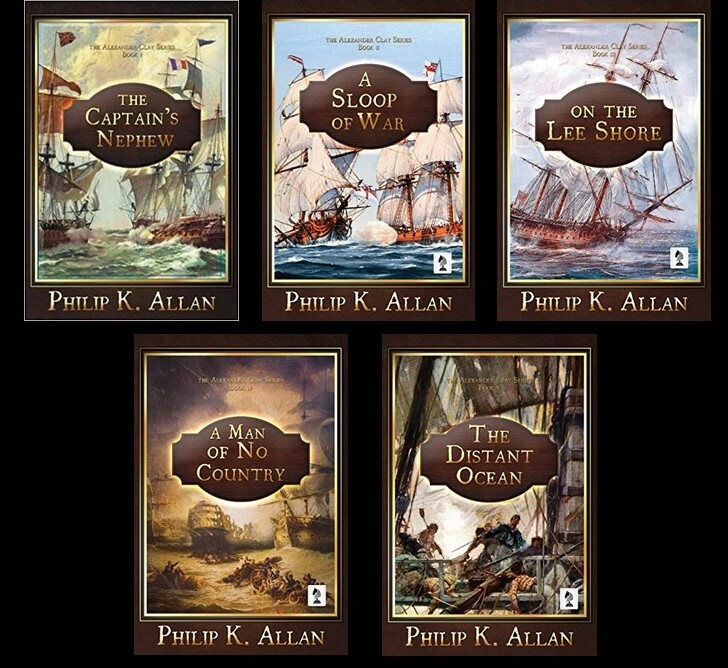 I am very pleased today to host a guest blog by another author naval-fiction, Philip K. Allan, who sets his work in the Napoleonic Era. There’s a short biographical sketch of him at the bottom of this blog, as well as a link to his published work. I’ve found his article a fascinating and enjoyable one and I have no doubt that you will also. In the heart of London is Trafalgar Square, where the figure of Nelson stands on top of his column and gazes out over the city’s traffic. The base of the column is decorated by four bronze reliefs which commemorate some of his victories. The one for the Battle of Trafalgar shows the admiral being carried from the quarterdeck of the Victory, moments after being shot by a French marksman. 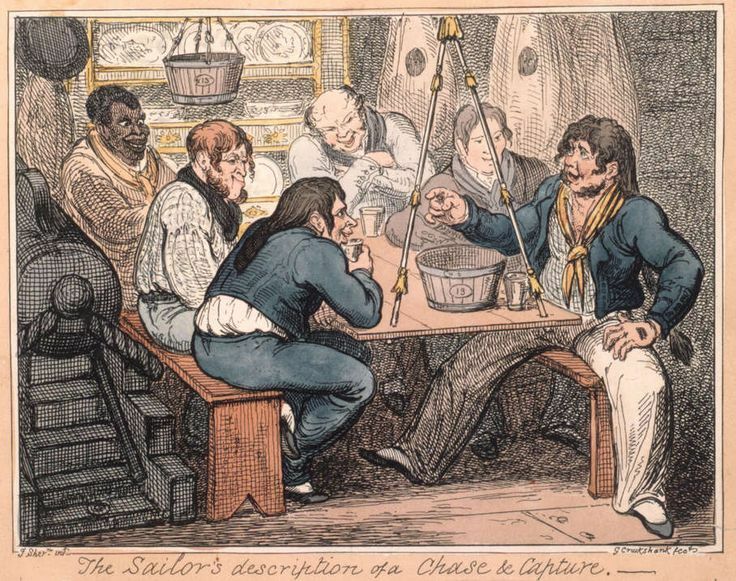 The scene has fourteen people in it, including Nelson, one of whom is clearly a black sailor. He has been given a prominent role, standing with a musket held across his chest as he looks towards where the shot has come from, as if about to revenge the dying hero. The relief was produced by the Irish artist John Edward Carew. 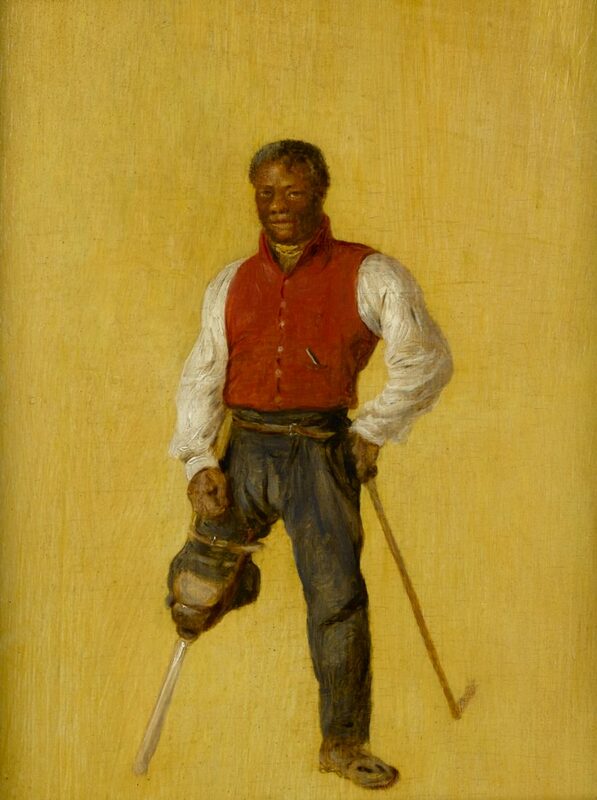 In an era before notions of political correctness or ethnic balance could have influenced him, he chose to include a black sailor in his scene. A study of the work gives us some clues to Carew’s motivation. The relief shows a desire on his part to achieve a good level of historical accuracy, from an artist with no experience of the sea. 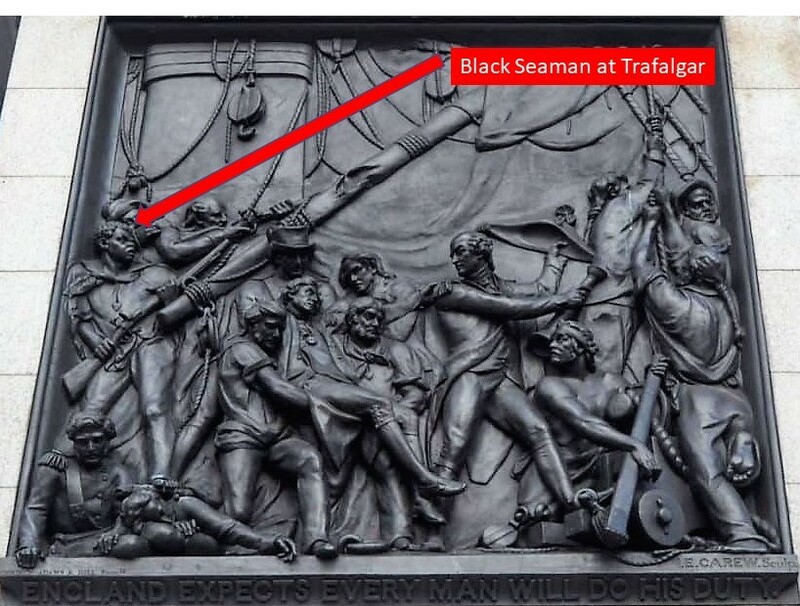 In which case, it may indicate that black sailors were a sufficiently common sight on board Royal Navy ships at Trafalgar to make the unknown sailor’s inclusion unremarkable. Researching the prevalence of black sailors in the 18th century navy is problematic. The principle source of data on crews comes from ships’ muster books, many of which still survive. But black sailors almost always appear under their western ‘slave names’, rather than their African ones. How are we to know which, if any, of three sailors called John Smith was black? But there is other evidence for their presence. For example, we have a letter that Captain Martin of the Implacable wrote to his brother in 1808 in which he listed the origins of his crew. From this letter it is clear that at least eleven of the hands were black, and possibly several more. This compares with twenty-five shown as Welsh. Some black sailors are known to us because they became more visible after they left the service. Billy Waters was born in America during the War of Independence, almost certainly as a slave. He served in the Royal Navy for many years until an unfortunate accident while he was serving aboard the Ganymede. He was badly injured when he fell from the topsail yard and had to have his left leg amputated. After he was discharged he had a second career as a street entertainer in London, and was a sufficiently well know figure to have been featured in contemporary illustrations (see example from 1820). Black sailors also appear in other contemporary cartoons and painting, as well as being mentioned in diaries and, as we have seen, some correspondence. Other black sailors lived long enough to appear in early photographs. Some veteran sailors became Greenwich Pensioners and were housed in Wren’s fabulous Royal Navy hospital by the River Thames. Old sailors, often amputees, with their 18th century style frock coats and cocked hats, were a familiar site in the area. 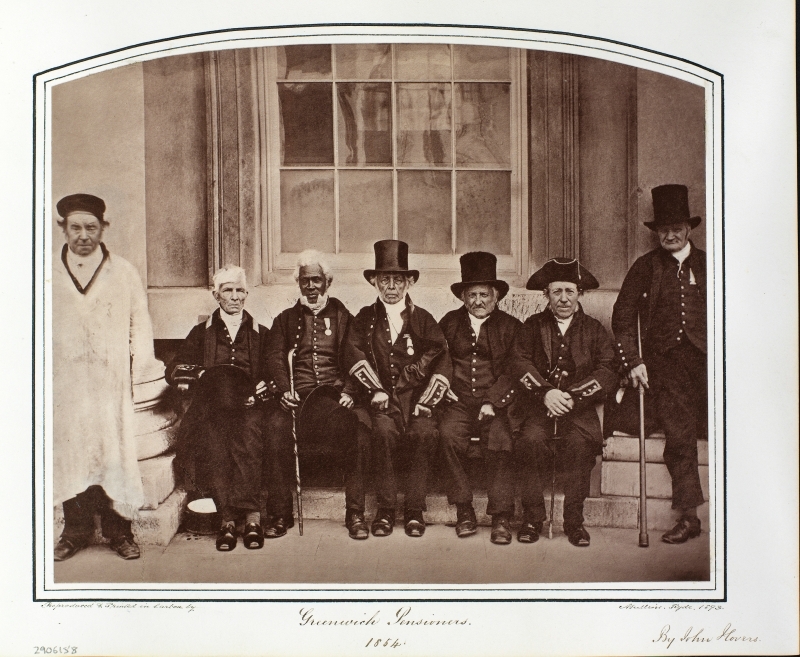 The picture included in this article was taken in 1854, and shows some survivors of Trafalgar seated outside the hospital. The pensioner third from the left has been identified as Richard Baker, a black sailor born in Baltimore in 1770. He entered the Hospital in 1839, having served aboard HMS Leviathan during the battle. He is also thought to have started life as a slave. Richard Baker’s case was certainly not unique. It is possible that the majority of black sailors in the navy were run slaves. In 1772 a landmark ruling in the case of Somerset vs Stuart, stated that slavery did not exist in English Common Law. This effectively meant that if a slave could escape from their plantation and find his or her way to a place where such law held sway, they would become free. For slaves on the sugar islands of the Caribbean, this meant the deck of a Royal Navy or British ship. In an era when manning for the navy was a problem, captains would not need much temptation to turn a blind eye to a useful looking recruit’s origins. This was also an era where slavery was coming to an end, at least in the British Empire. The slave trade was banned in acts passed in 1807 and 1811, and progressively stronger measures were put in place until 1833, when slavery itself was finally abolished. When I was taught about the abolition of slavery at school, it was William Wilberforce and his fellow Evangelical Christians that were said to have been responsible. Later in life, I began to question the simplicity of this view. What role was played in all of this by the slaves? Did they do anything to liberate themselves, or did they wait patiently in the cane fields of Barbados for the machinations of the British Parliament to run their course? The drivers of abolition are complex, but what is beyond doubt is that many slaves did seek to liberate themselves. For some this took the form of organised slave revolts, as took place unsuccessfully in several of the British sugar islands; and was successfully in French-run Saint Dominique, later Haiti. But for most, resistance would have come in the form of an individual throwing off his chains and escaping. And to escape from an island, requires a ship. It is interesting to speculate what effect all of these black sailors in the Royal Navy had on the abolitionist cause. Many naval officers, like the First Lord of the Admiralty, Lord Barham, were prominent opponents of the slave trade. Long established practices often founder when they come to seem hopelessly anachronistic in an ever-changing world. The knowledge that large numbers of former slaves were bravely fighting in the armed services of the nation responsible for their enslavement must, at the very least, have given supporters of slavery pause for thought. No case would have made this clearer than the remarkable career of John Perkins, know by the nickname Jack Punch in the service. His origins in Jamaica are obscure, but naval historian Nick Rodger believes that Perkins was probably born as a slave. He joined the Royal Navy in 1775 as a local pilot, and his career progressed rapidly. His first command was the Punch, a schooner, and was a brilliant success. In 1782 he was commissioned as a lieutenant, and by 1800 he had risen to the position of post captain. He went on to command a number of ships, including the frigates Arab and Tartar, both of which had officers and crews who were predominately white. Over the whole of a glittering career, he is said to have captured over three hundred enemy ships, and died a very wealthy man in 1812. The role of black sailors in the 18th century navy has been overlooked, to some extent, by some naval historians. I attribute no particular motive to this – as I stated earlier the principle source document for the composition of crews is muster books, and these are largely blind to ethnicity. Constrained by the requirements of evidence and source, professional historians can only report on what they can prove. On the other hand, writers of historical fiction have a freedom denied to their non-fiction counterparts. They can re-imagine the past, and help to breathe life back into it for their readers. The works of Hilary Mantel, for example, are outstanding examples of what can be achieved, particularly through her novels on the French Revolution and the life of Thomas Cromwell. With regard to writers of naval fiction, we too have been guilty of a relatively poor representation of black sailors, which I believe is a creative opportunity missed. The move away from slavery was a major theme of late 18th and early 19th century history. The abolitionist movement; slave revolts in the Caribbean, not least the establishment of a black republic in Haiti; the Royal Navy’s forty-year struggle to suppress the Atlantic slave trade and the American Civil War are all examples of its impact. I have chose to include a significant black character in my second novel, A Sloop of War, and have found that I have been rewarded with numerous intriguing plot possibilities. Coming originally from Watford, Allan still lives in Hertfordshire with his wife and two teenage daughters. He has an excellent knowledge of the 18th century navy. He studied it as part of his history degree at London University, which awoke a lifelong passion for the period. A longstanding member of the Society for Nautical Research, he is also a keen sailor and writes for the US Naval Institute’s magazine Naval History. Allan is author of the Alexander Clay series of naval fiction. The first book in the series, The Captain’s Nephew, was published in January 2018, and immediately went into the Amazon top 100 bestseller list for Sea Adventures. The sequel, A Sloop of War, was published in March 2018, and was similarly well received, winning the Discovered Diamonds Book of the Month. He has since published two further books in the series, On the Lee Shore and A Man of No Country.